Clean, full kitchen utensils, comes with sugar, salt, and some spices. Complimentary variety flavours of teas. Comes with coffee and coffee machine. The owner is very friendly and helpful. She even take time to explain about the attractions and how to go about. Love the neighbourhood which is walking distance to every where. The location to the centre of Cologne was very good easy walking distance. Nice quiet location and off street parking. The owner was very helpful and made sure we were comfortable before leaving us. We stayed here to visit christmas markets in Köln. Lovely clean apartment, great facilities. Good location for the Trams & quiet surroundings. Dishwasher was a bonus too. The coffee machine was great to have. Plenty of information leaflets in apartment. Lovely owner who met us when we arrived & even left us a selection of Christmas chocolates to enjoy. She had even put some Christmas lights in the apartment which was a nice touch. We would/Will definately book again when we return. Not a lot of stairs............parking on site. The apartment had a balcony which was nice. We had a good time in Cologne. Lucia is a great host, and was in communication with us to ensure she is there to receive us on arrival. The apartment had coffee/milk/tea stocked so that we could start off our stay without having to go around shopping. The apartment is neatly kept ...clean and tidy. Sufficiently spacious as well. Lucia explained to us all the options for sight seeing & gave useful tips on restaurants. The apartment is a bit away from the old Cologne town (which is really not a bad thing ..since you can get a nice quite rest when you return back from sight seeing). We walked to the chocolate museum (15 to 20 mins) .. and it is also walk able to the Dom (20 mins) as long as you do not have a crying 5 year old ..LOL. We also did the night dinner cruise and walked to the KD berths. 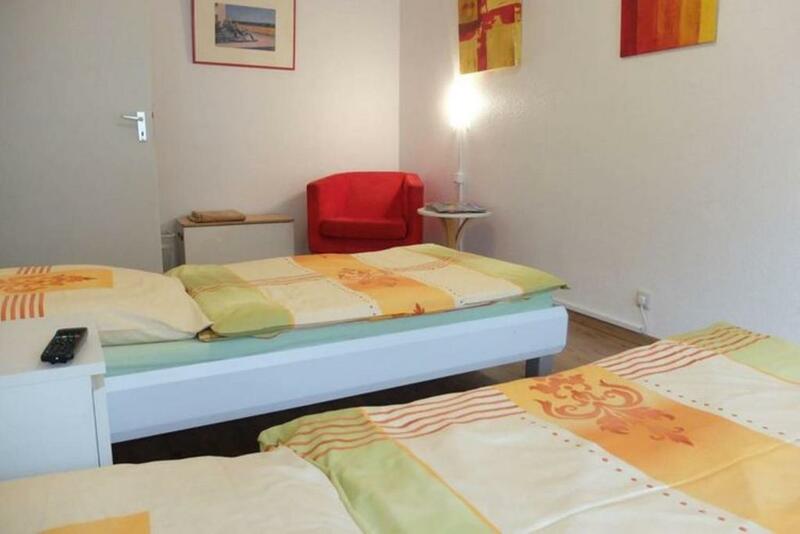 I would recommend this apartment for any family visiting Cologne. 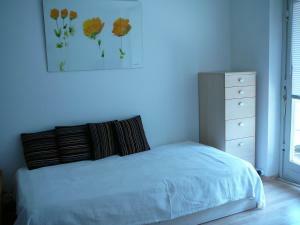 The apartment was spotless clean and very convenient to the city centre. There were a number of restaurants nearby which we could walk to. The Thai restaurant was very nice and also reasonably priced. We also visited a number of Germany restaurants off the main street and the food was very good. Host was very welcoming. 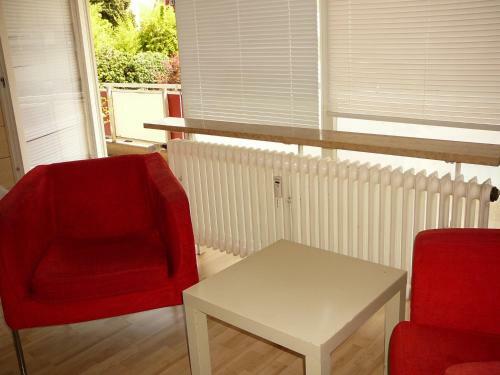 Found web searching for apartments in Cologne that effectively had two bedrooms difficult, so we were well pleased to eventually find this one. In a quiet area on the edge of the old town just a few hundred metres from a well connected underground station. Good supermarket nearby. Apartment was spacious and well appointed. nice extras like tea coffee etc. the host was very friendly and helpful about places to go and how to get there. 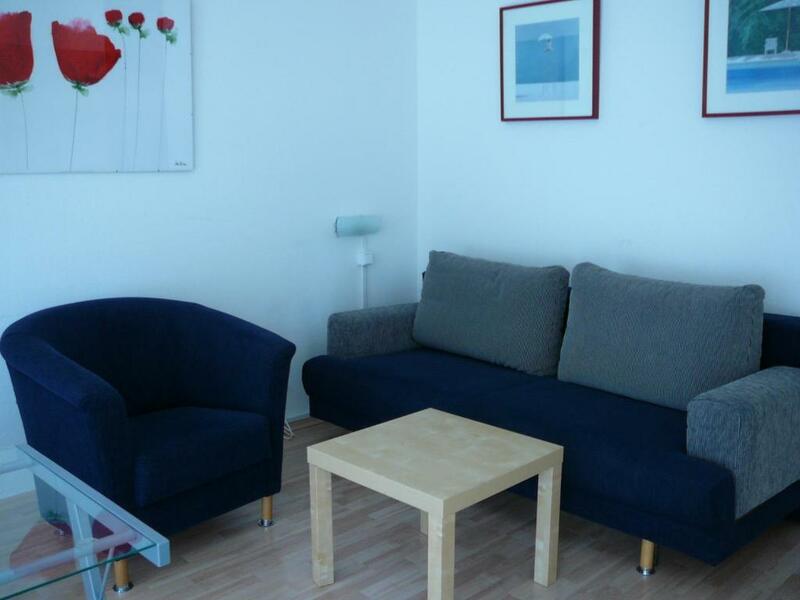 Lock in a great price for Cityapartment Köln – rated 8.7 by recent guests! 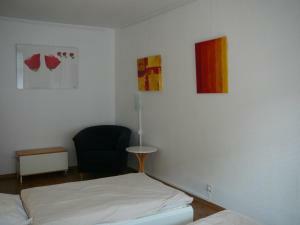 This self-catering apartment is located in Cologne city center. 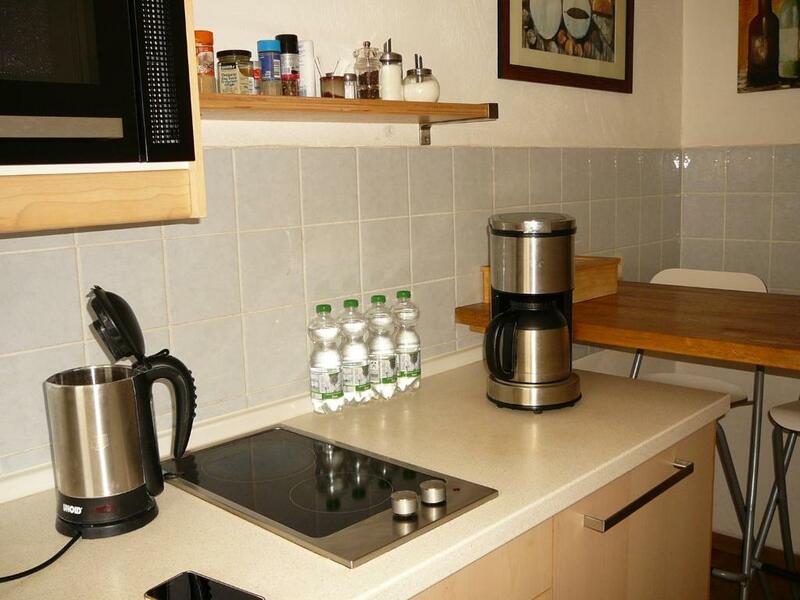 It offers free Wi-Fi and a fully equipped kitchen. The Cityapartment Köln is a 2-room apartment with a modern bathroom and a flat-screen TV. The apartment features a balcony, which can be accessed from the living room and bedroom. Cologne Central Station and sights including the famous Cologne Cathedral can be easily reached on foot or by public transport. Poststraße Underground Station is just a 3-minute walk away. This offers connections on 4 underground lines to all parts of Cologne. A private parking space can be booked at the apartment. 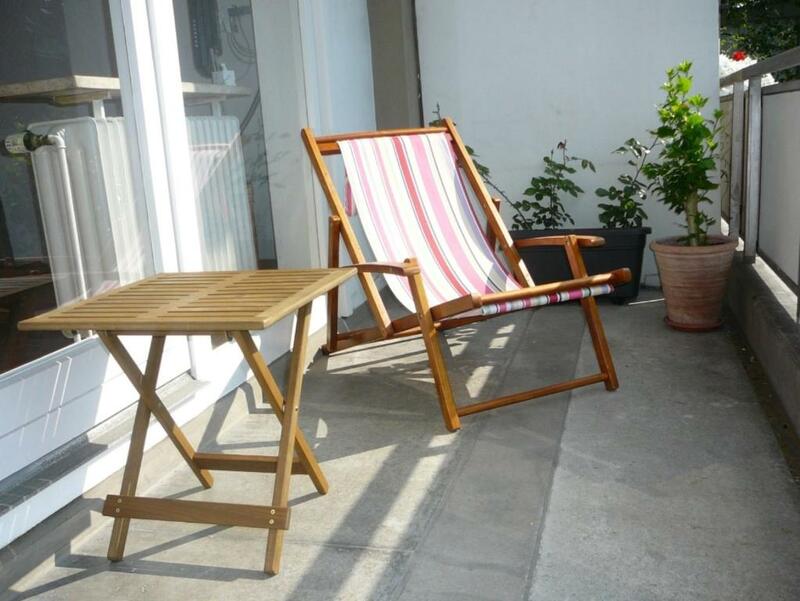 뀐 Located in the top-rated area in Cologne, this property has an excellent location score of 8.8! 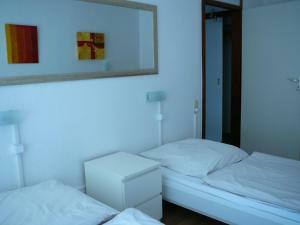 When would you like to stay at Cityapartment Köln? This 1st-floor apartment is located at Waisenhausgasse 11, 50676 Cologne. It includes a fully equipped kitchen, a balcony, 1 combined living room/bedroom, and 1 smaller bedroom. hier befinden Sie sich im Herzen von Köln. Die Wohnanlage liegt im Innenhof und ist dadurch ruhig. Damit Sie sich nach Ihrer Ankunft erstmal entspannen können, stehen Kaffee und Tee für Sie bereit. Information für Ihren Aufenthalt liegen bereit. durch meine eigene Reiseerfahrung weiß ich, wie wichtig eine angenehme Atmosphäre in einer Unterkunft ist. Deshalb ist auf eine zweckmäßige und gemütliche Ausstattung geachtet worden. Meine Gäste sollen sich wohlfühlen und ihren Aufenthalt genießen. die Anlage liegt sich zwischen Innenstadt und Südstadt. Fußgängerzone und der angrenzenden Altstadt auf der einen Seite, die Südstadt mit Restaurants, Cafés und Boutiquen auf der anderen Seite. Das Schokomuseum sowie Brauhäuser sind schnell erreicht. Area Info – This neighborhood is a great choice for travelers interested in Christmas markets, shopping and restaurants – Check location Great location - show map Guests loved walking around the neighborhood! House Rules Cityapartment Köln takes special requests – add in the next step! Cityapartment Köln accepts these cards and reserves the right to temporarily hold an amount prior to arrival. Guests must contact the apartment in advance to arrange pick up of keys. Contact details can be found on the booking confirmation. Please inform Cityapartment Köln of your expected arrival time in advance. You can use the Special Requests box when booking, or contact the property directly using the contact details in your confirmation. Not much to not like. Maybe a double bed would be good in lue of the 2 singles. But they were very comfortable. There wasn't anything not to like! I didn't find the apartment all that comfortable. The kitchen only had bar stools and was very tight. We were traveling from a considerable distance away and was given very strict instructions that if we didn't make it by 6:00 we were out of luck. That made for a stressful drive for fear of not making it on time. The apartment was described as a two bedroomed unit, however the single bed was placed in the living room. I expected two bedrooms. In my opinion the information should be honest so that people can have a proper description of the property they are renting. The sofa (bed settee) and chairs were fairly hard and not particularly comfortable for longer term sitting.